I’m sick and tired writing about winter and this extremely cold weather we’ve been experiencing. At least today it’s warmer, even though we are expecting up to four inches of snow. One thing that does warm me up are the thoughts of planting the garden this spring. My wife has been been pouring over the seed catalogs and making elaborate plans for a new raised bed garden. In that vein, Hsu’s Growing Supply shared a great article ondecoding that seed packet info. Let’s hope the snow melts soon. Is Facebook still working for you as a business marketing tool? Organic growth has become harder, but It’s not impossible. This week on the Buy Local Wausau Blog I have some tips on how you can succeed in Facebook’s crowded environment. 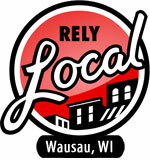 If you are looking for greater exposure both in and outside of Facebook, RelyLocal Wausau can help. Our integrated approach helps share your content in the places that people are looking. Contact us for details. This Friday, January 31st marks the One Year Anniversary of The Wedding Store! I would like to Thank all of the Brides and Families and Event Professionals for your patronage, trust, and referrals. Also my own Daughters Christine & Caitlin, and Bill, my business partner for all of your help and support. I truly LOVE my job! January brings new brides and grooms to us!!!! Booking dates for 2014 and 2015!!! Some dates that are stil open have had mulitple inquires… its time to book your date so you don’t miss out!!! CJ’s Catering of Wausau is a preferred vendor in many of the Wausau area banquet facilities, so call us today for exceptional service of your next event. CJ’s Catering of Wausau. . .
What enticed Victorian-era Americans to masterful magicians’ stage spectacles? Why was Houdini hot? Gain insights into the promo posters in Mystery, Magic, & Mayhem @ the Woodson.It’s From Houdini to Hugo, the art of Brian Selznick. Learn how to make your own wine. Wednesday, February 12 at 6 pm: FREE wine-making class at Lil’ Ole Winemaker Shoppe. Get started on your new hobby for 2014 with us! Call 715.845.6170 to reserve your seat today! Lil Ole Winemaker Shoppe. . .
Now available at The Planted Seed – strawberry drinkable yogurt from Clover Meadows Family Farm; made fresh and locally exclusively from single farm grassfed cows. Also check out Harmony Specialty Dairy Foods‘ Abergele Portabella Mushroom and Chive cheese. It was selected as the “reigning favorite” cheese by American Craft Bee Magazine at the Isthmus Beer and Cheese Fest. Now that the holidays are past us, we can turn our attention to everyone’s favorite activity: taxes. Fortunately Haven Tax and Accounting is ‘Making it Easy’ Need W-2′s and 1099′s? Get them done for only $25 each. Haven will also do personal and business tax returns (individuals starting at only $75). Haven Tax and Accounting. . .
Did you know that house roofs are now built to hold 40 pounds of weight per square foot. As the snow accumulates on your roof, how much snow is too much? 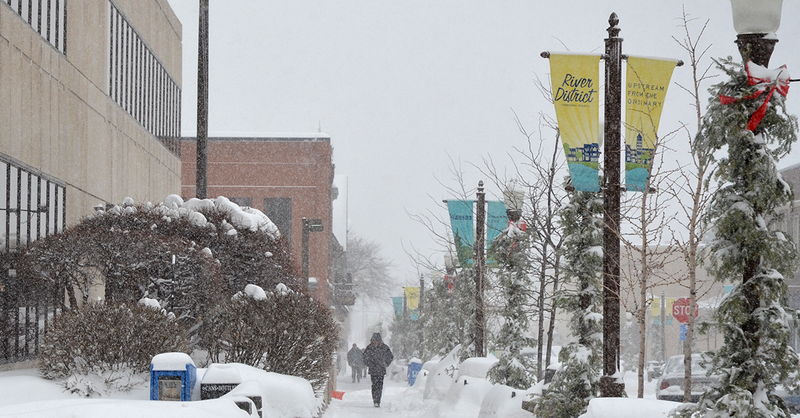 Fresh snow: 10-12 inches of new snow is equal to one inch of water , or about 5 lbs. per square foot. Packed snow :3-5 inches of old snow is equal to one inch of water or about 5 lbs. per square foot. Total accumulated weight: 2 feet of old snow and two feet of new snow could weigh as much as 60 lbs. per square foot. Ice: one inch of ice is equal to 1 foot of fresh snow. If you feel you have to much snow on your roof, use can use a roof rake and clear it yourself. Otherwise give Verhasselt Home Repair a call to have them shovel it off. 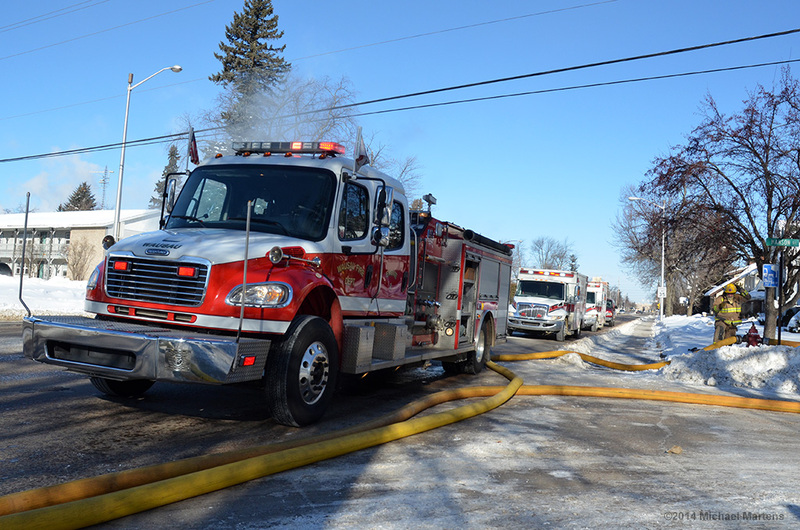 Wow, last Tuesday there was quite a house fire on Grand Ave, Traffic was snarled for most of the day as firefighters battled the flames in -10 degree weather. Since this fire is only a block away from where I live, I was able to get some great pictures of their firefighting effort. Great work Wausau Fire Department on a very challenging day to fight a fire.